The White-Series is beyond comparison with its predecessor and other giant wheels available in the market. With the White-Series, Dutch Wheels is defining the next level in giant wheels for stand-alone attraction. The White-Series concept is centered around customer experience and started with the enlarged 8 person gondola. First in the Series is the 60 meter version. Now available as well is an 80 meter version with even larger 20 person “walk around” gondolas. The same wheel design concept can be enlarged to 140 meter according recent engineering studies. Next to offering exceptional passenger experience, we designed this series as an assembled wheel which means that all parts and pieces are shipped to the wheel site and assembled by our Dutch Wheels installation team. Needless to say that the wheel is meeting extremely high quality standards, is designed according applicable EN and ASTM standards, and able to deal with extreme climate conditions. Since we are targeting the real estate market it also meets “endless-life” requirements, typical to this market. 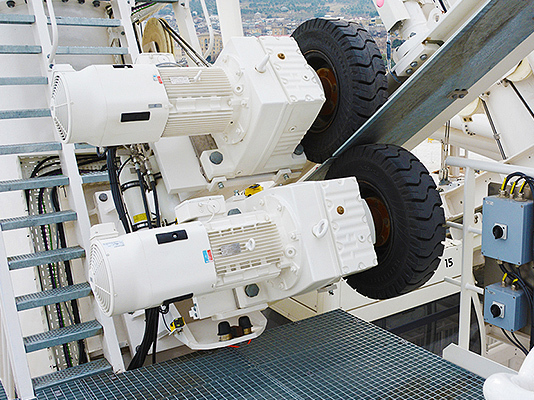 Important feature is that the White-Series is easy to maintain and operate. Apart from all the technical features, these wheels look impressive and will fit in with its environment adding value to any high end mixed use or leisure type development. 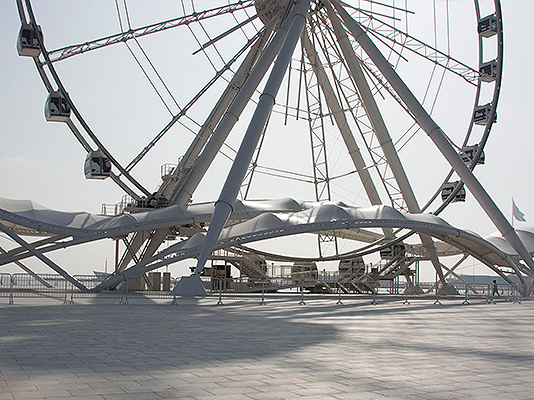 The White-Series includes wheels in different sizes, with varying number of gondolas and gondola models. Wheels can operate in a start-stop or continuous rotation operational mode and can be equipped with stylish or flashy lighting package and round video screens in the center. Luxury, impressive and experience are key words when discussing this series. As indicated before, no concessions were made in respect to product quality, durability, maintenance friendliness and safety. Our in-house engineering team have explored and investigated technical details, most people cannot even think of being relevant. The White-Series have a unique appearance with its 6 robust legs and spokes that widen at the end. This typical spoke design is to accommodate larger gondolas, yet allows the wheel to be packed in regular containers for efficient transportation. The design incorporates many safety features for instance to allow for evacuation of the passengers in case of a main axle bearing problem. The thick and robust columns represent a construction that is able to deal with extreme conditions and is built to impress. Passenger experience is key for any Dutch Wheel. The White-Series comes with a range of gondola types and development of new versions is an ongoing process. 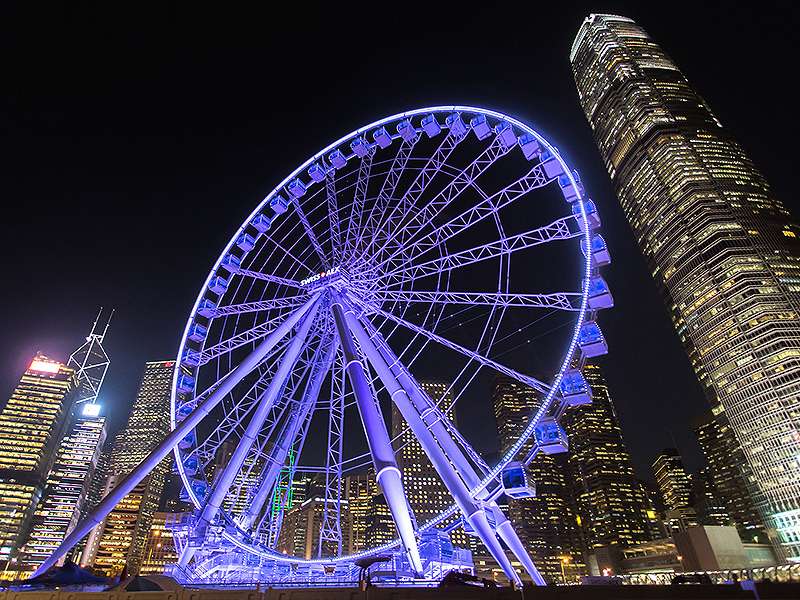 The 60 meter version comes with the 8 person sit-down gondola which is a size slightly larger than most gondolas available for this size wheel. The 80 meter version comes with a 20 person walk around gondola which has an almost square floor surface of around 10m2 (100 ft2) allowing for flexible use as dinner area, meeting room, party space and whatever creative ideas there could be. 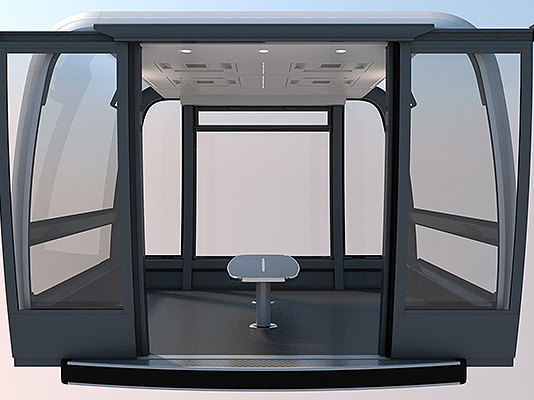 The gondolas have HVAC climate control, 2-way communication; can be equipped with full multimedia, and a number of seating options from a simple carpet cover bench seat to individual cushioned seats. The wheel is driven by frequency controlled drive motors that are controlled using a state of the art control systems that ensures an extremely smooth ride. There is sufficient redundancy to continue operations in case of issues and an operator control console, integrated in the loading ramp, makes operation extremely simple. Due to smart engineering, maintaining the wheel is something that can be done by the wheel staff while remote access by Dutch Wheels specialists ensures support when needed.